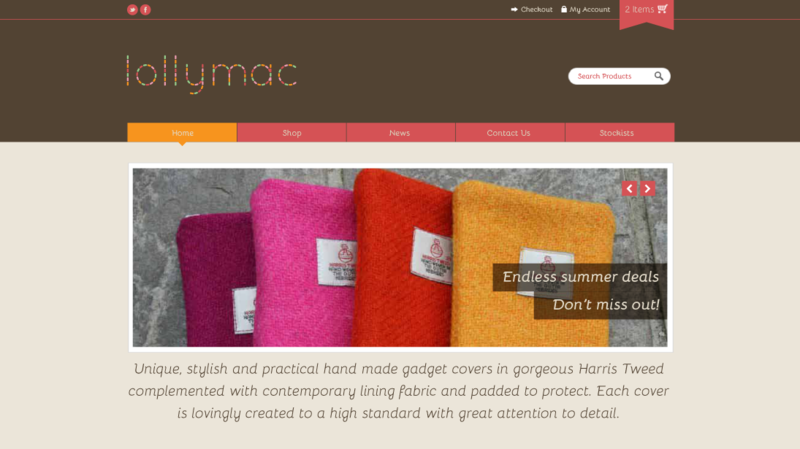 Lollymac is a local business making unique, stylish and practical hand made gadget covers in gorgeous Harris Tweed. 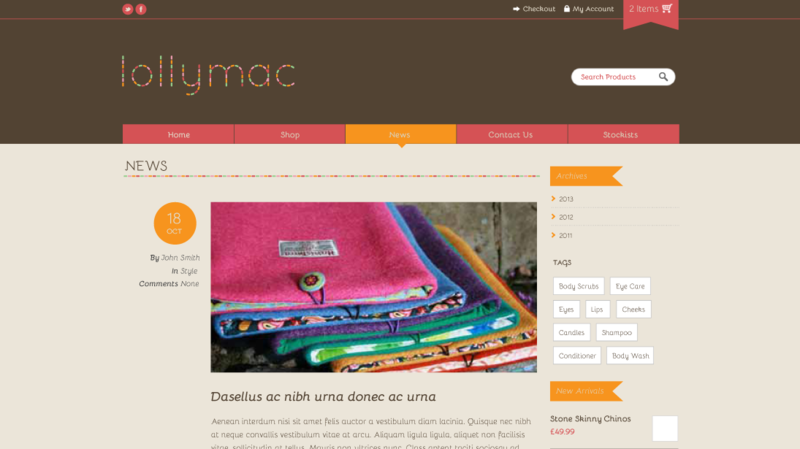 We used a dashed font to create a stitch effect which added a home made feel to the logo. 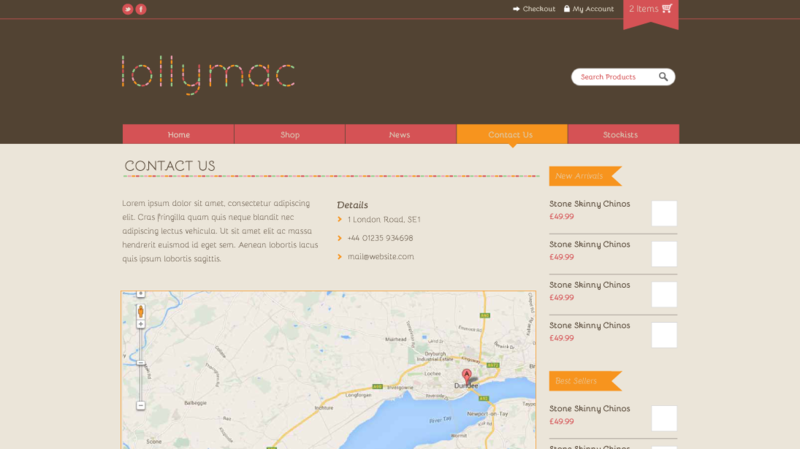 As the client had a limited budget, we designed a theme based on an Ecommerce, shopping cart template. 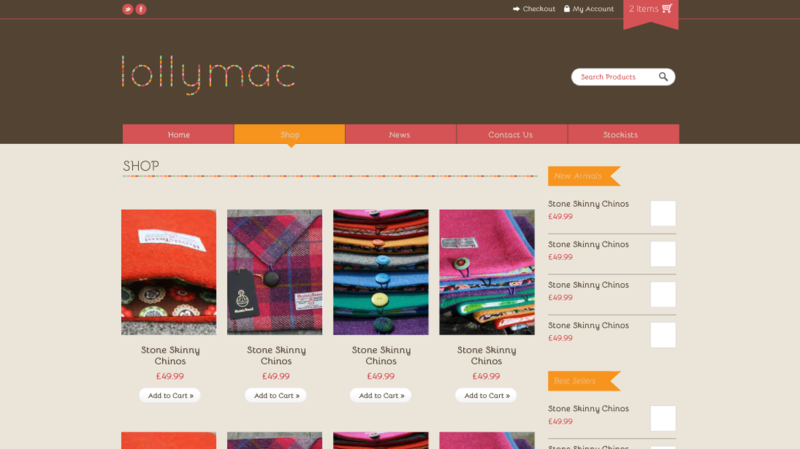 This enabled us to keep the client’s costs down while still keeping the brand consistent. This is a work in progress.